There are hundreds of cozy bed and breakfast (B&B) retreats in Pennsylvania – the perfect setting for a romantic weekend, low-key getaway and breakfast delights you could never create in your own home. Below are a few B&Bs around Pennsylvania to get you on your way to a relaxing retreat. For even more, visit our full list of B&Bs in Pennsylvania. Speedwell Forge B&B in Lancaster County harks back all the way back to 1760, when the elegant mansion belonged to a colonial ironmaster. Stay in the main house or the private cottages. Or book a stay at the Spencer House, a Victorian mansion erected in 1876 and located on Erie’s historic Millionaire’s Row. Gracing a Romanesque castle constructed in 1890, Buhl Mansion Guesthouse & Spa in Pennsylvania’s Great Lakes Region is listed on the National Register of Historic Places. Get the royal experience by booking the Grand Turret. Built in the 1891, Mansion District Inn Suites in Smethport aims to recreate the affluent lifestyle of the period’s lumber tycoons, oil and gas barons and financiers – with the addition of modern amenities. Get in the grape spirit at Grape Arbor Inn near Erie, set in side-by-side 1800s Victorian mansions with a library and porch with rocking chairs. When you’re not on the porch, explore more than 20 area wineries. 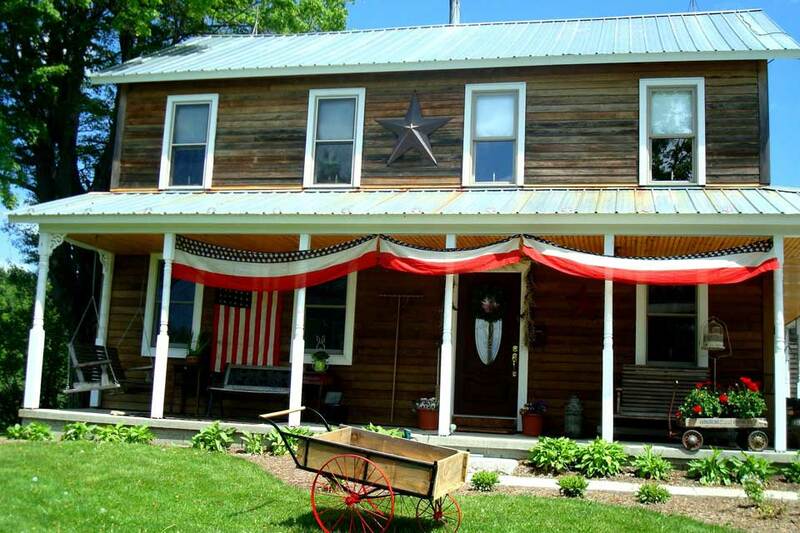 Or consider the Jackson House B&B, a 1859 inn not far from the popular Mason Dixon Wine Trail and York County attractions such as the York County Heritage Rail Trail and Steam into History, which features a replica steam train chronicling the county’s role in Civil War history. In the lovely French Creek Valley, Meadville is the Crawford county seat. Its Mayor Lord’s House Bed & Breakfast is close to downtown pubs, restaurants, the historic Market House and other stroll-worthy destinations. See a show or catch a game at Penn State’s Bryce Jordan Center, then lay your head at the Reynolds Mansion in Bellefonte. Arrange to have the in-room Wine and Cheese package await your return! Bally Spring Inn in the Valley Forge area is a true country retreat, situated on 60 acres of picturesque farmland. Guest suites feature a Jacuzzi tub and historic stone work and beams. Just north of Pittsburgh, The Paganelli’s Butterfly House is a country home peacefully surrounded by relaxing butterfly gardens that offer an enchanting atmosphere. Located four miles from Huntingdon, The Inn at Solvang attracts return guests with access to quiet forests, a private trout-fishing stream and elegant 1920s furnishings. Feast on breakfast prepared with local produce and the inn’s own stone-ground wheat. Enjoy your country breakfast at Landhaven Bed & Breakfast in the Village of Huff’s Church, where you’ll sleep amid antiques, browse the onsite antique shop and soak in the atmosphere of the general store of the building’s origin. The Fairville Inn in Chester County’s Brandywine Valley is on the National Register and part of the Fairville Historic District. Explore its five acres and back roads – but don’t miss afternoon tea! Recently named by CondÃ© Nast Traveler’s among the “Eight Great Beer Hotels in the U.S.” The Inn at Turkey Hill in Bloomsburg is attached to a recently opened brewpub. 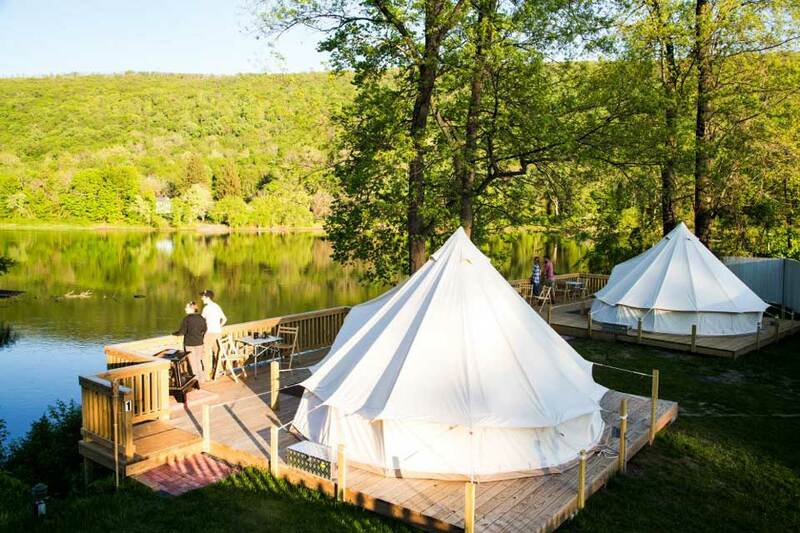 Roebling Inn on the Delaware in the township of Lackawaxen is steps from the Upper Delaware River, prime waters for fishing, kayaking and tubing. The inn’s 1870 white clapboard building with green shutters is listed on the National Register of Historic Places and is decorated with comfortable yet elegant furnishings. Book a room facing the river for an extra-special experience. Find more ideas in our bed and breakfasts in Pennsylvania listings.